Bennies arrive on campus curious. Intelligent. Eager. We don’t instill those qualities; we attract them. And then we cultivate them. We encourage and validate and prod and push and challenge and expand. Why? Because we know what happens when you match potential with the right kind of support: women soar. Another priority of the Illuminating Lives campaign is building up the women of Saint Ben’s. 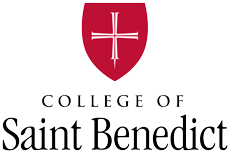 Stipends to support internships and other experiential learning opportunities will make the full Saint Ben’s experience available to every Bennie, regardless of family income. Updates to Claire Lynch Hall and brand-new College Avenue Athletic Fields for soccer and softball as well as club sports and intramurals mean opportunities to excel for all our athletes as well as opportunities for every Bennie to discover the athlete in herself. Participation in athletics builds confidence and develops leadership skills for life. Assisting the women we serve will allow them to fulfill their responsibility to promote the common good, to understand themselves as women and to fully engage as reflective leaders in an increasingly intercultural and global community. Through it all, we will continue advancing the holistic development of women in the Catholic Benedictine tradition.